Two Fox News commentators were suspended on Monday for using profanities while criticizing President Obama. 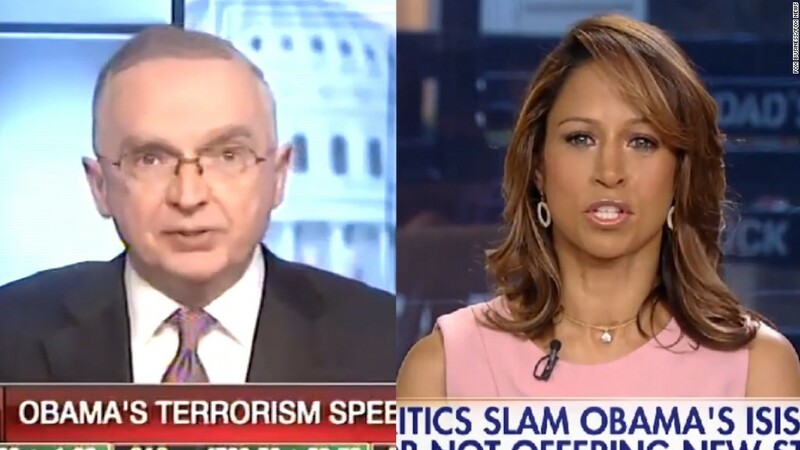 Ralph Peters, a Fox News "strategic analyst," called the president a "total pu---" who "doesn't want to hurt our enemies." A couple of hours later Stacey Dash, a Fox contributor, said the president "didn't give a sh--" about Sunday night's terrorism speech. 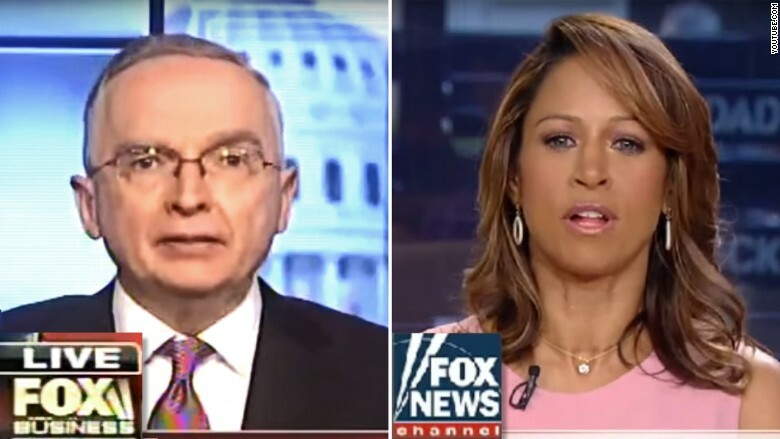 "Earlier today, Fox contributors Lt. Col. Ralph Peters and Stacey Dash made comments on different programs that were completely inappropriate and unacceptable for our air," Fox senior executive vice president Bill Shine said. "Fox Business Network and Fox News Channel do not condone the use of such language, and have suspended both Peters and Dash for two weeks," he said. Although Fox is a home for daily conservative criticism of Obama, vulgarities from the commentators are very rare. The White House declined to comment. Some Fox fans decried the suspension decision on social networking sites, accusing the network of unfairly silencing two commentators for speaking their minds. Her profane remark was partially bleeped during "Outnumbered," a lunchtime talk show on Fox News. Peters' comments were not bleeped at all. He spoke to anchor Stuart Varney on the Fox Business Network, a smaller sister of Fox News. Varney let him speak for over a minute, then told Peters, "You can't use language like that on the program, OK?" "I do apologize for giving into my anger, but... I feel like you know the American people understand where I'm coming from on this," Peters said. "My choice of words was incorrect, but my sentiment, I think, is shared by many." Trevor Noah, the host of "The Daily Show," played the Peters video on Monday night and said, "This is one of those moments where I wish the guy was in the same room as the president. I could just picture Obama at that moment going, 'Why don't, uh, we, uh, take this outside?' "
Both Fox News and Fox Business are cable channels, so they're not subject to the government regulations that police profanities broadcast over the public airwaves.